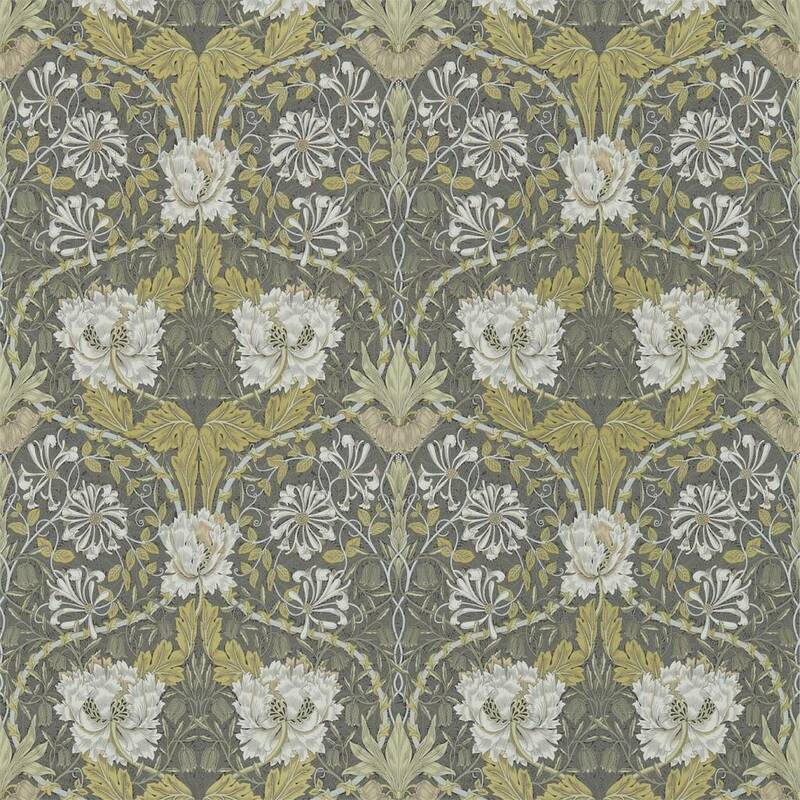 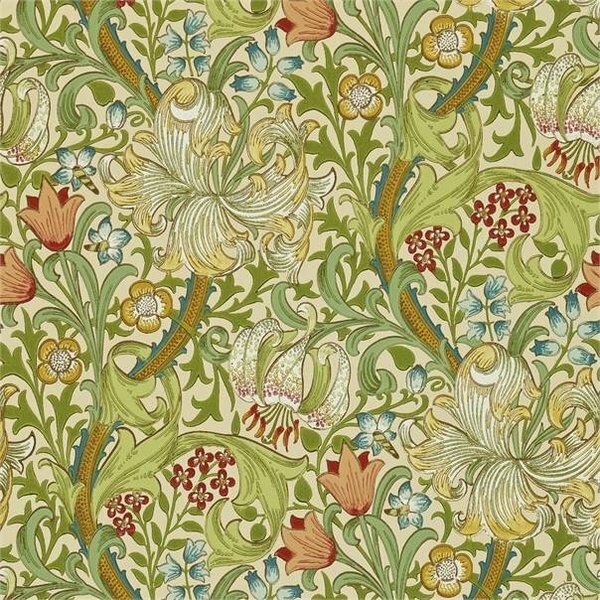 First produced in 1876 ‘Honeysuckle and Tulip’ was an early Morris fabric design depicting entwined foliage and flower motifs in a mirrored pattern repeat. 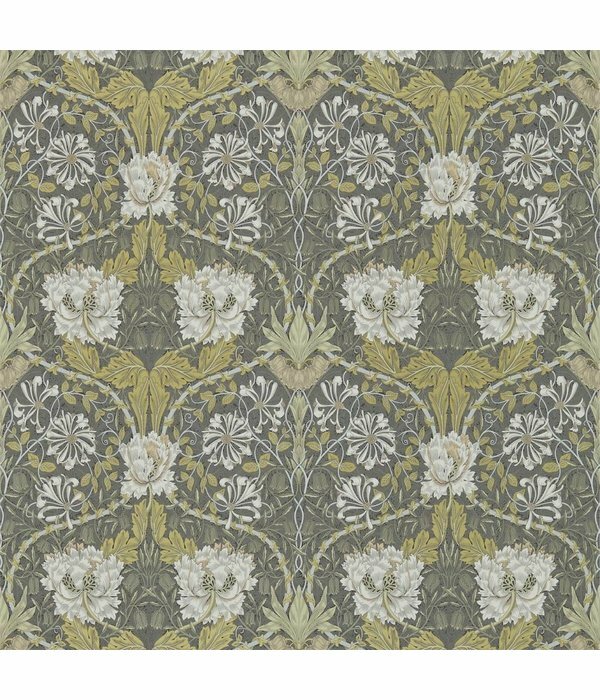 The effect is of a trellis circling large multi petalled tulips and stylised honeysuckle. 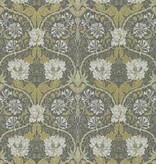 The inspiration to convert the pattern to wallpaper came from the Honeysuckle bedroom at Wightwick Manor where the fabric was used as a magnificent wall hanging. 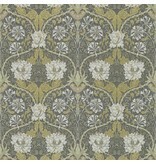 Available in five colourways after the original fabric and introducing a dramatic charcoal version.